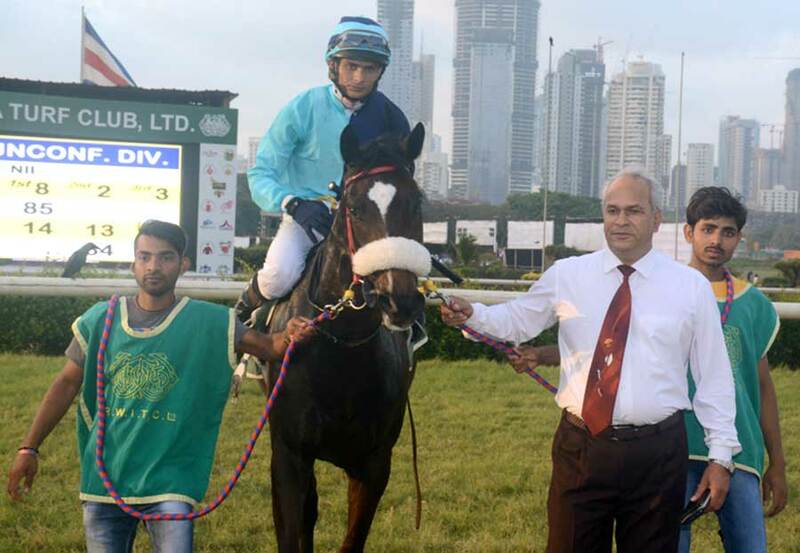 Vishal Gaikwad trained Glyndebourne slammed the opposition in the 1400 metres Behram A Engineer Cup, a race for horses rated 40 to 65, the feature event of a small card of six events that were gone through on Friday. The day`s programme was lacklustre with competitive element lacking. Most of the winners of the day won against the submissive opposition. Glyndebourne hadn`t run for quite some time. Her mock race was outstanding, but she was withdrawn at the gates on the last occasion as she played up at the gates. She was better behaved this time out. Trevor had no hesitation in exploiting the cruising speed of the progeny of Western Aristocrat and had the favourite dictate a good pace. Glyndebourne`s catch me if you can tactics went unchallenged as the rest of the runners were not good enough. Invictus Maneo ran on to take the second position ahead of Timeless Deeds who put in some good work towards the close from way off the pace. Malesh Narredu trained Star Bright also recorded a runaway win in the 1600 metres Manyatta Plate, a race for horses rated 20 to 46. Available at nourishing odds, Star Bright came into the reckoning in the final furlong and sped clear after storming ahead with 200 metres left in the race to win by a widening margin of five lengths. Ebony who led briefly approaching the final furlong had no answer when the eventual winner swooped on her and had to settle for the second spot. Angel`s Harmony was third while favourite Angels Touch was nowhere to be sighted. Rehanullah Khan trained Dazzling Star won the 1200 metres J Robinson Plate, a race for maiden three-year-olds, quite easily at the expense of late rallying favourite Golden Hind. Dazzling Star who was available at big odds came into strong reckoning with 200 metres left in the race and easily overtook the front-running Retained Asset. Intense Stylist edge out the long-time leader Retained Asset to get the third place. 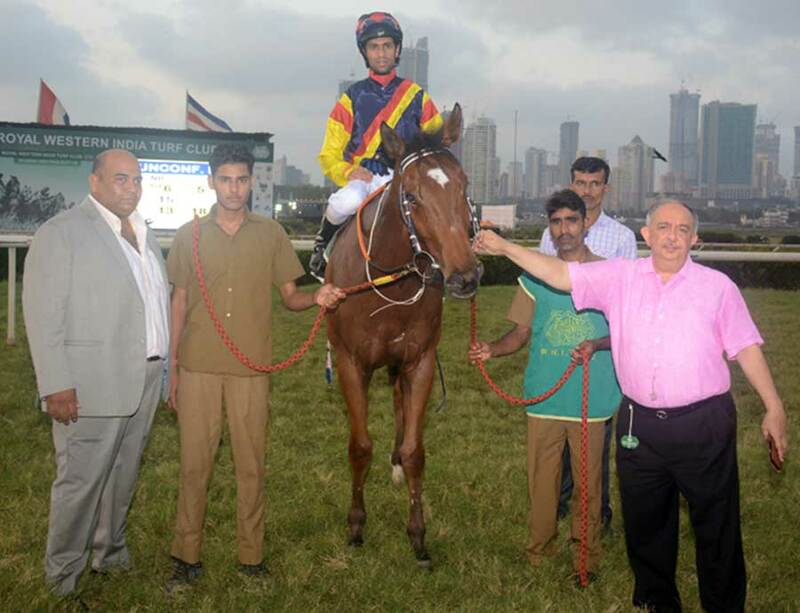 Trevor Patel`s persevering efforts saw favourite Highland Woods oblige in the 1200 metres Bejan Bharucha Plate (Div I), a race for horses in the lowest category. Highland Woods was baulked for a clear run by Synchronicity who was tightening him on the inside but Trevor forced his way and the favourite just about held off Huzzah`s Phoenix, Synchronicity and Isinit in a tight finish. 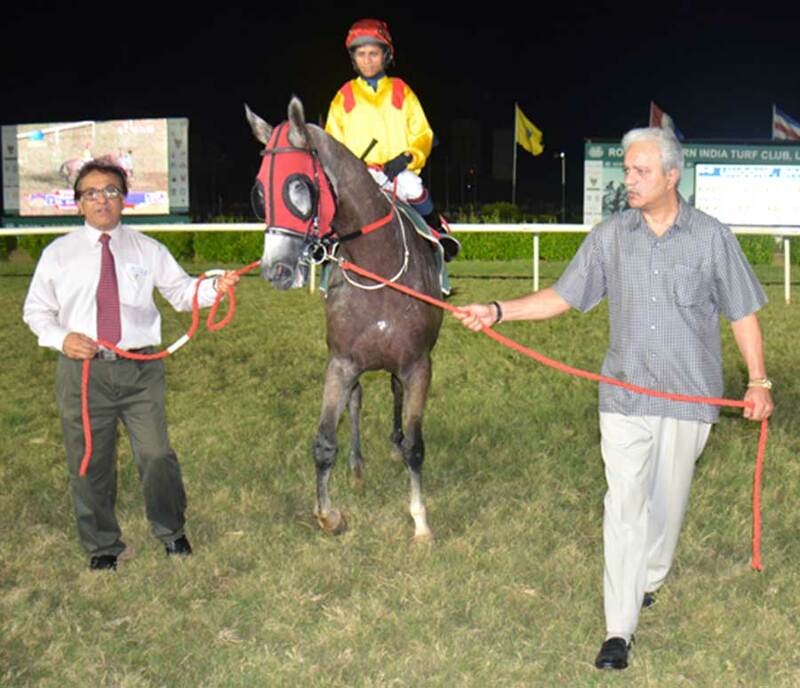 The lower division of the race went the way of Mansoor Shah trained Transform who faced no opposition en route to a runaway win. Diwali Lights returned rich dividends on place betting by taking the second position ahead of Gandalf. 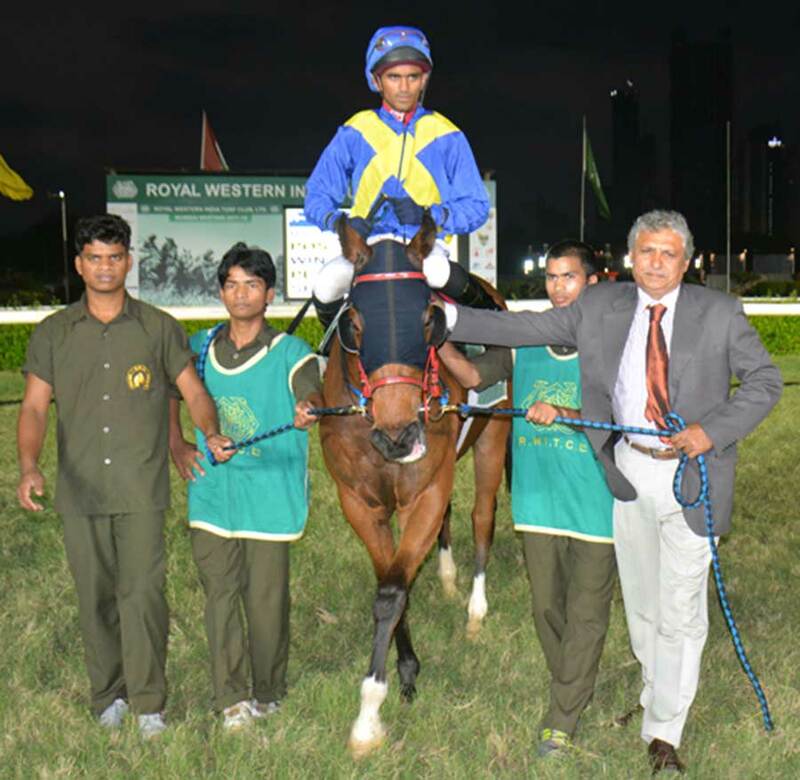 Apprentice jockey Ajinkya who had been struggling for winners, finally found one through favourite Beneficial who managed to prevail in the 1000 metres Kazakh Plate, a race for horses rated 20 to 46. 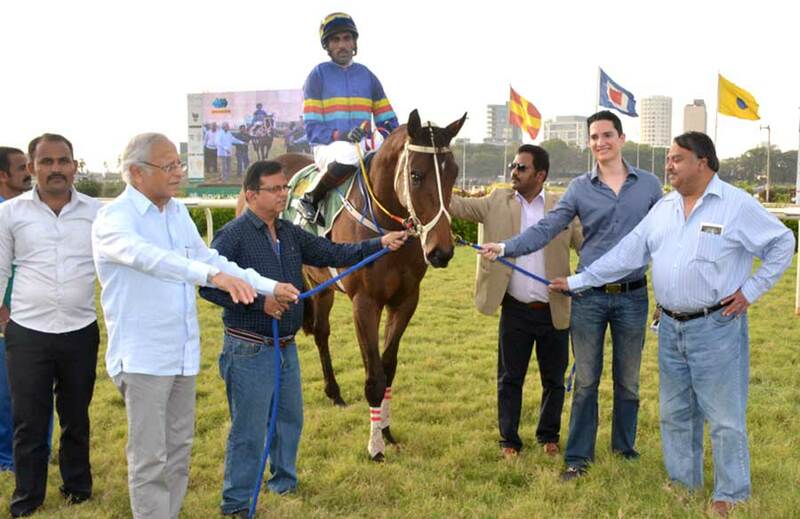 The Shiraz Sunderji trainee came in for considerable betting and the five-year-old did not disappoint. Beneficial got the better of Bidstone Hill closer home and won by a shade less than a length. Grey Flannel found her rhythm rather late and her strong finishing effort saw her just about fail to get the second position from early leader Bidstone Hill by a whisker.